Photos: ©Y.Zedda/AbsoluteDreamer . Video by Wni Films / Absolute Dreamer - Back in Feb 2016 I published some pics of the Easy To Fly project. 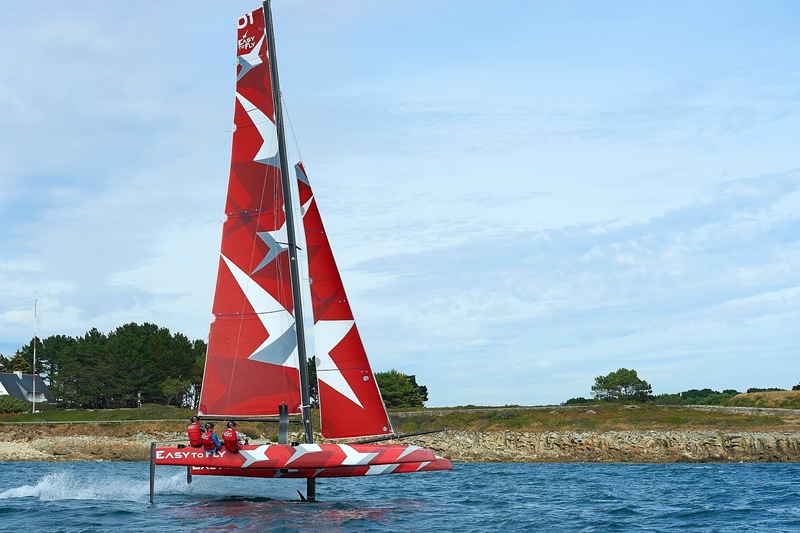 Now a reality with several boats sold after the Paris Boat Show and a Class being formed. First races will be 10th of June in Geneva ( Genève-Rolle Genève ) followed by the Bol d’Or on the June 17th. Press release coming on Class and circuit details. This Cat fills a gap missing in the market, we have the F20/FP to race double handed and then directly to the GC32 beast. The new DNA TF10 foiling Tri is another level of size and costs. The Easy Fly is a foiling alternative to the Diam 24OD in terms of crews and size , and I see the Class gathering momentum. This Melges type of Cat is what I've been talking for a while, and other projects were on the design table. 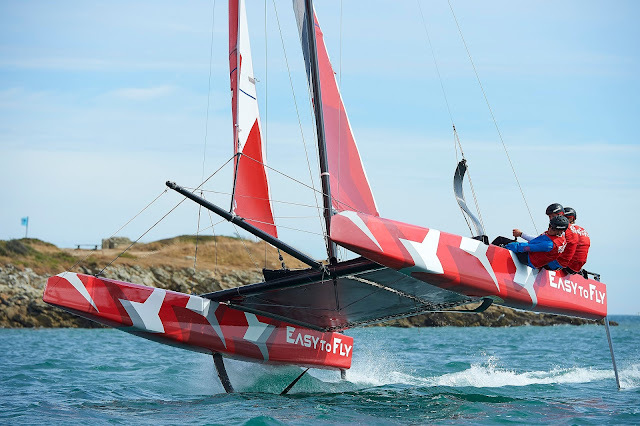 Re foils , TNZ systems is super proven and stable. Maybe a Z upgrade if needed can be made in the future. 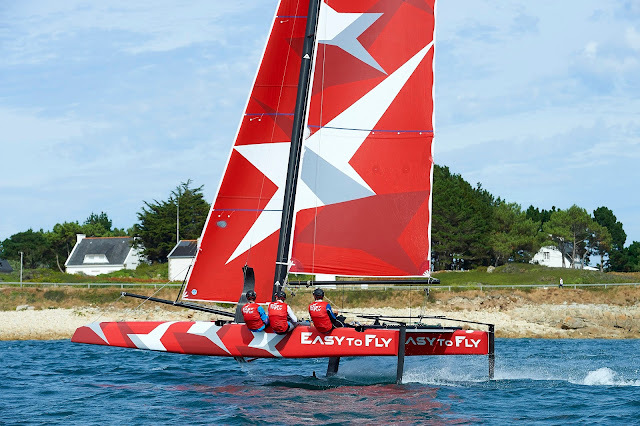 On the 3pt J system I reported on the F20FCS and FP I sailed here in BA and also I'm getting direct feedback on the Arg GC32 Team ( F18/F20FCS sailors) and they confirm the boat is incredible smooth and provides super stable flights , as we've seen in many videos. Easy To Fly Platform and Foils were designed by Guillaume Verdier , thus the resemblance to Groupama's C-Class.